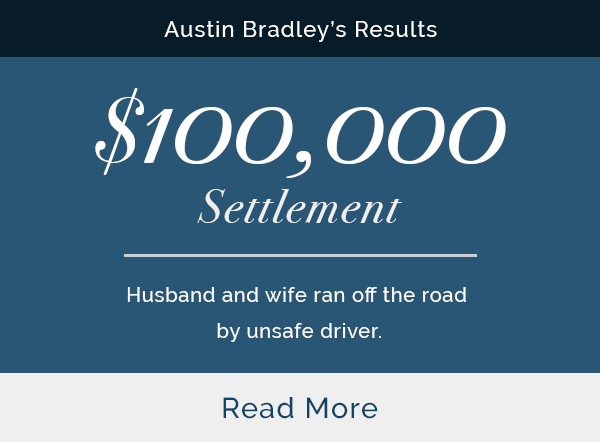 Austin Bradley Law Office represents people who have been seriously injured. 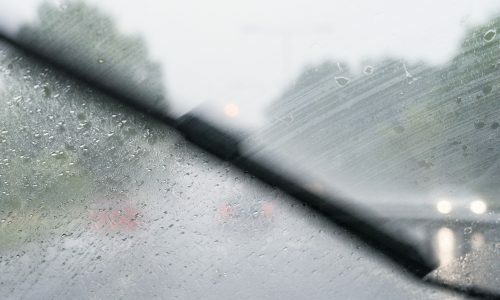 We specialize in claims involving car accidents and serious personal injury. Our office is conveniently located at 10th & Main in the newly renovated Gryphon Building in downtown Joplin, Missouri.  If you have been injured in a car accident, motorcycle accident, on the job, or because of someone else’s negligence, you probably have many questions. Many of your questions can be answered by the information provided on our Blog. Our Blog includes Tips for Car Accident and Auto Accident Victims. 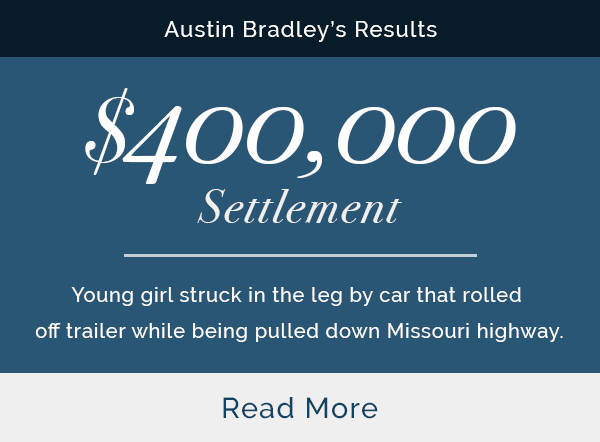 If you are considering hiring a car accident attorney or personal injury attorney, please check out our Practice Areas and Case Results. We are open Monday – Friday, from 8 a.m. to 7 p.m. Please feel free to call with any questions you have. Your questions will be answered by a licensed local attorney. It does not cost you anything to call and speak with an attorney about your case. If you decide to hire us, we will not charge you anything unless we recover money on your behalf. Car and semi truck crashes frequently occur when a driver is either not paying attention, drunk, texting while driving or speeding. You will receive a response within a few hours. If you decide to hire us, we’ll never require you to pay any fees or expenses up front. We only get paid at the end of your case, after there has been a financial recovery. We also advance all the costs of pursuing your case. We understand that whatever has happened to you is already difficult. It is our aim to take the stress off you by aggressively going after compensation your deserve. 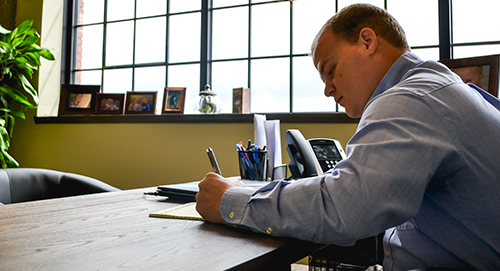 If you decide to hire us to pursue your case, we will handle all of the work so you can focus on getting better. We do not get paid unless you get paid. In the event that we recover money on your behalf, we will also help negotiate your medical bills, thereby maximizing your total recovery. Austin Bradley does outstanding work. After my work injury, my employer's workers' compensation insurance denied the surgery that I needed to get better. 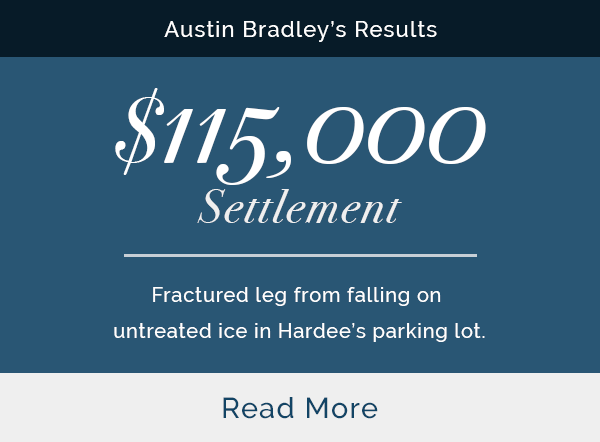 Austin Bradley was able to quickly get the surgery approved after I hired him, and was there for me throughout the entire process. He returned all my phone calls and answered all my questions.